This blog documents my quest to publish a guidebook about Scottish bothies, which started way back in 2011. Somehow the dream has become a reality, and in March 2017, The Scottish Bothy Bible was published by WildThings. This is the first comprehensive guide to Scotland’s bothies, including entries for all the open shelters maintained by the marvellous Mountain Bothy Association (MBA), www.mountainbothies.org.uk, plus a few other lesser known gems. Each description weaves together a historical snapshot, summary of the bothies layout and walk in routes, as well as key attractions in the vicinity, and details of public transport options. The book also showcases my photography which I hope captures the spirit of bothying, bothy culture, and beauty of bonnie Caledonia. Not only is the guide a perfect resource for all bothy devotees, but also ideal for anyone happily transported to Scotland’s hidden corners from the comfort of their armchair. The aim was to produce a practical resource that would comfortably sit alongside Donald Bennet’s The Munros, Hamish Haswell-Smith’s The Scottish Islands, and Irvine Butterfield’s classic The High Mountains of Britain and Ireland, and although I many be biased and a bit brash, I think I achieved that goal. Pick up a copy and see what you think! A prized, signed, and numbered first edition is only available here. The term bothy comes from the Gaelic ‘bothan’, and was originally used to describe the basic accommodation used by farm labourers, or estate workers. However, over the last few decades, the word has been co-opted to describe places that are freely available for anyone to use, as somewhere to stay the night, or for that matter just have lunch. The vast majority are old cottages, although a few have been purpose built, and are made available by the courtesy of the landowner. Some, though by no means all, are at least an hour or two hours walk from the nearest road, but every single one is found in the most beautiful, out of the way locations in the land. In the course of the last 50 years the maintenance of much of the bothy network has been undertaken by the Mountain Bothy Association, a volunteer lead charity which received the Queen’s award for voluntary service in 2015. 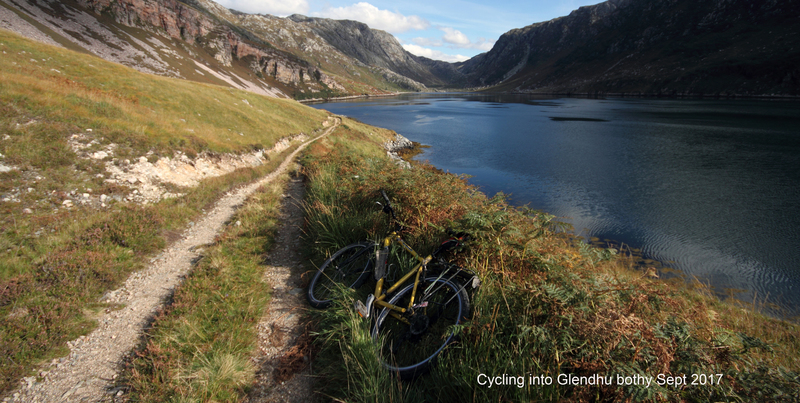 Bothy accommodation is very basic, and its important to assume that there will be no facilities. This means no gas, electricity or a tap. You should only expect to find a wind and waterproof building, with somewhere dry to sleep. If your staying overnight, you have to carry in all the equipment you would take camping, plus candles, and if there is a fireplace, something to burn. Water comes from a stream or spring nearby. Do not expect the bothy to have toilet facilities, you will need to use the spade provided. Leave the bothy clean and tidy, and take away all your rubbish. There is no booking system or wardens, and you should anticipate company for the evening, but there is absolutely no concept of first come, first served. Except on extremely rare occasions, late comers will just squeeze in on the floor if the bothy is full, though it may be common sense to take a light weight tent, if you are going to a bothy in a popular area at Easter and in the summer months. The beauty of bothies is that if you have some good equipment, are happy to carry in a few luxuries in terms of food and drink, and get a fire lit, you can have a really comfortable evening in some amazing locations for very little cost. 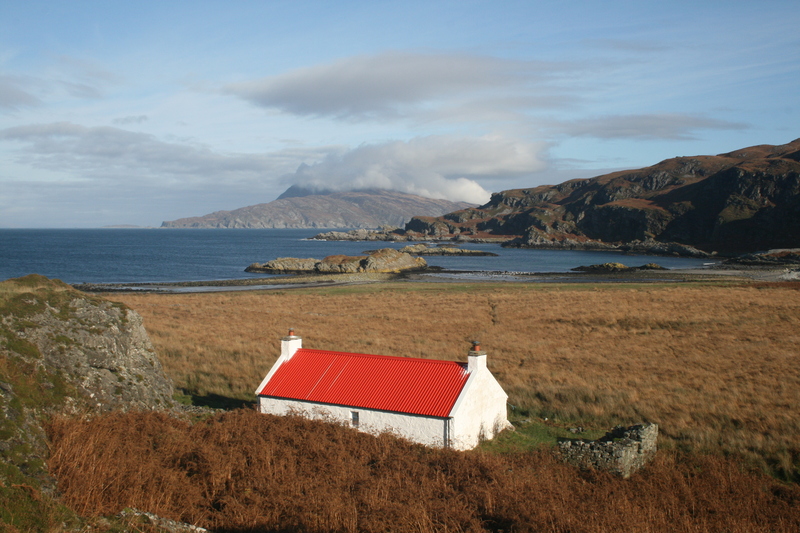 The best bothies are almost like hostels, with a well drawing fire or stove, platform beds to sleep on, and in some cases even a supply of wood left by a benevolent estate. Take a few friends, or meet others who are equally inspired by a love of the hills, and your experience will live long in the memory. Bothies have been part of my life ever since I came to Edinburgh as an undergraduate in 1988, and went on my first bothy meet at the EUMC club hut in Glenlicht, near Shiel Bridge in Kintail, to bring in the bells at new year. I’ve never looked back, became bothy secretary the following year, and have been out and about ever since, always happy to carry in some coal, and offer a glass (well plastic mug) of something to the collected company. I now maintain Dibidil bothy, one of the two spectacular bothies on Rum.